603 Weybridge Drive - Unit 91 #91, Nolensville, TN 37135 (MLS #1918870) :: Maples Realty and Auction Co.
55 Plus Adult Community! 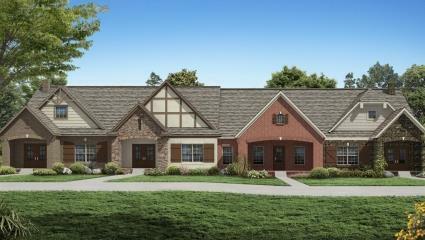 The Waverleigh - LOW MAINTENANCE, ONE LEVEL LIVING walking distance from Historic Downtown Nolensville! Spacious kitchen opens into Living/Dining Room, w/Cozy Owner's Retreat. 2 car garage with easy access directly into the home! Private Courtyard for outdoor enjoyment.